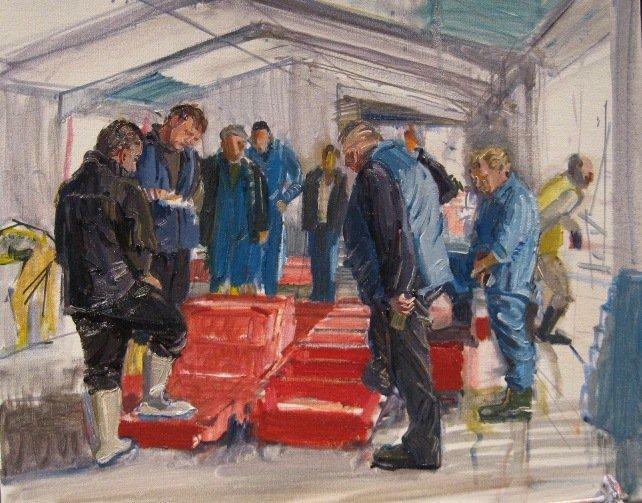 A series of images showing four stages in a painting of Newlyn Fish Market based on sketches and a series of photographs of groups of figures bidding for fish at the morning sale. I visited the market several mornings and took photos. I chose figures from various photos and composed them into a typical auction sale group near the side doors to get as much natural light as possible and avoid too much of the even overall florescent lighting. I used thinned oil paint as before for the early stages. I will add extra images as the painting develops. 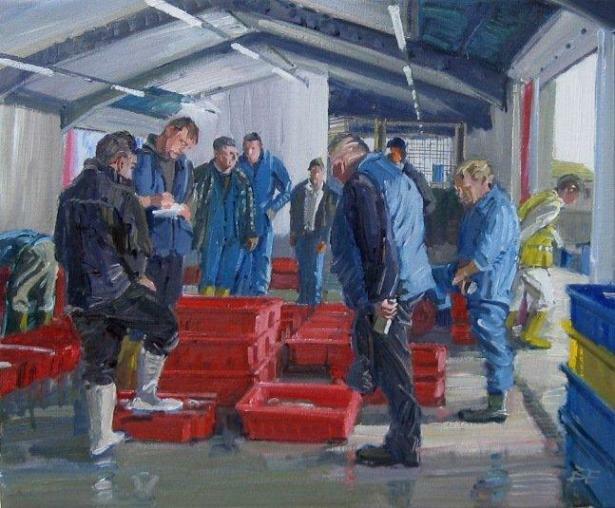 Having established the arrangement of the main figure group in thicker paint (thin darks and thicker lights) I am now filling in the gaps showing the mainly red fish boxes and the background of the market floor and shed which is white and grey with the wet concrete floor showing the light coming in through the open door. hspace="0">This is complicated by the overall light coming from the neon lights in the roof. Painting in the figures with thicker paint. 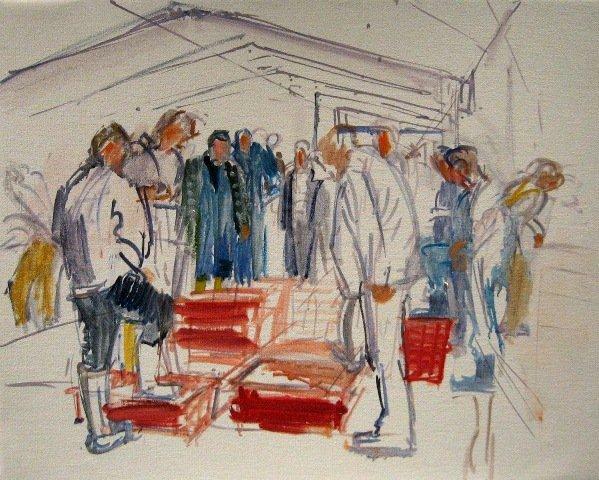 Reference - three visits to the market at 7.30 - 8 am plus 7 photographs which are combined to make the picture.